Come scrap with the results of numerous excursions into the aisles of antique stores. Found objects and wonderful paper ephemera will enhance your family history & heritage pages or add a twist of the eclectic to your traditional pages. 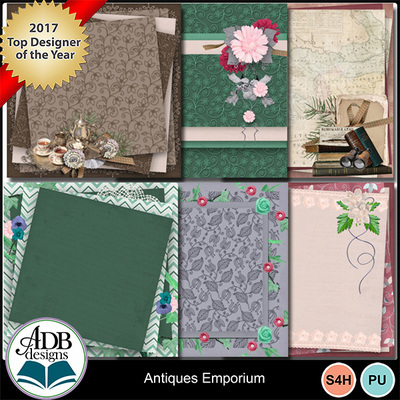 The rich palette provides a versatility you will value and the whimsy of the antiques included will brighten your layouts.